The 2017 release was targeted to help improve the performance when dealing with larger assembly data files. The changes made can primarily be seen/felt on large assembly files especially with external links. On testing files, we have seen up to 30% improvement on the save/load and files. Loading these larger files and modifying several external link files contained within, will show the greatest impact on the save process. 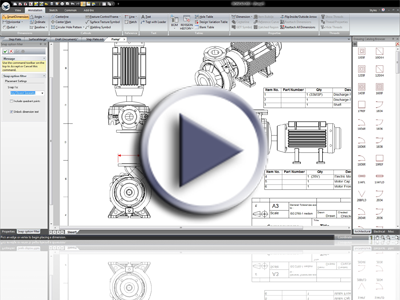 Part regeneration has been drastically improved on models that contain many features. In test cases, we have seen improvements from 2 minutes down to 30 seconds! Typically you will notice this improvement on drop of new features, edit of existing features or repositioning features on models when regeneration occurs. 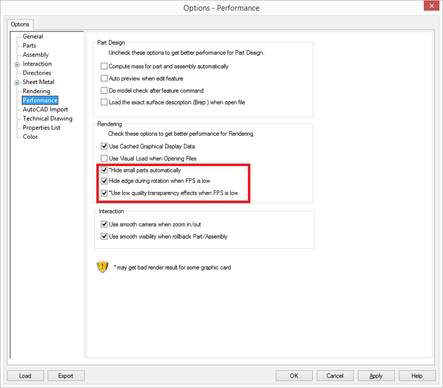 DirectX\OpenGL2 and OpenGL will depend on the graphic card and your machine. 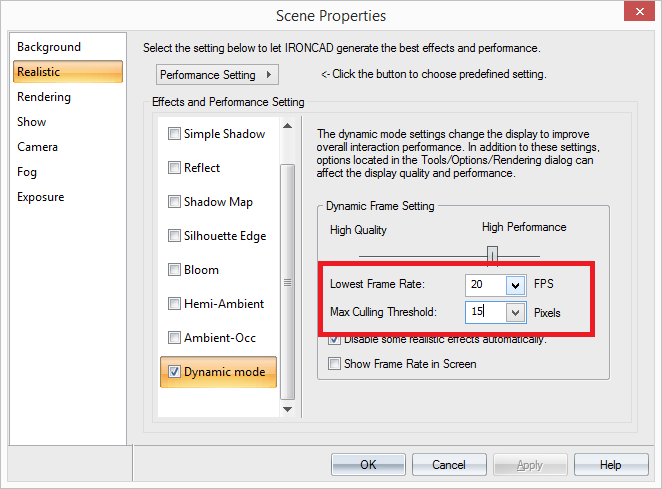 You may want to try each setting to find out which works best for your machine. Segment should be best in most cases but again it is machine dependent. 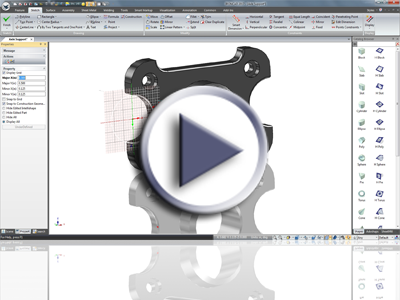 You may need to try Segment and Geometry to see which works better for your machine. Hide small parts automatically will show the most impact. With this checked, you may not see all the parts in a model when you stop interactions. This may be ok for large files that you can’t see the small parts anyways. If you turn this off, there will be a delay in rotation when you stop in order for it to draw all parts (the delay will differ from file to file). Play with it on and off to get a feel for which works best for your files. The others will have smaller impact except transparency. Transparency can have a big impact on speed. So this should be noted in general when dealing with large files (meaning avoid transparency if you can). The culling will give a bigger impact during rotation when adjusting higher. If you turn off dynamic mode, there is a new static culling setting. This applies the culling at all times. In some cases, that may be faster but you will have a culled display (parts missing until you zoom in). 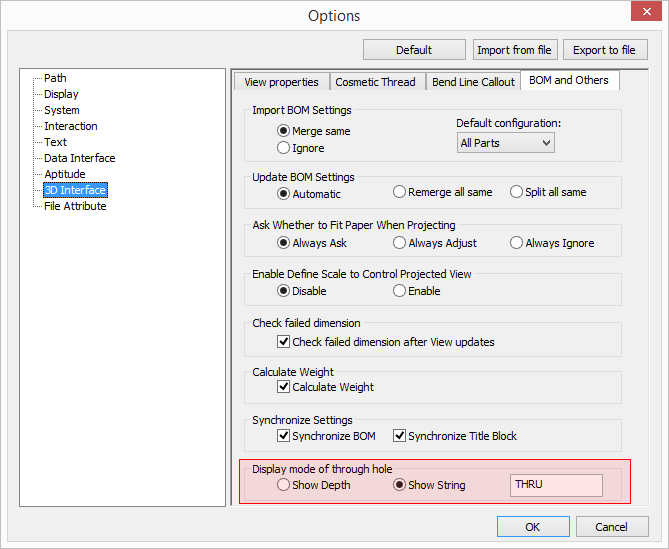 In general, you should notice smooth rotation with these settings and selection should be near instant. In addition, with items selected and rotating, it should be faster as well. 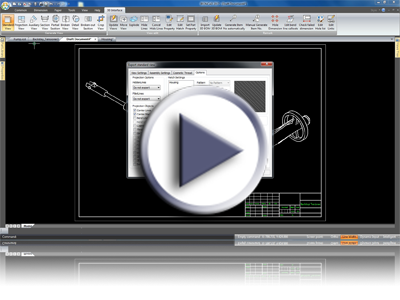 There has been a common use model where users want to import large DXF/DWG files as a reference element to build 3D around. For Example: A plant or factory layout that you will use as a guide to build the actual machine in place. To support this, we have added a new Import Reference 2D that will import the entire dataset into a non-editable element. This can be placed and referred to in the design environment. In the Scene Browser, it will list the layers as well so that they can be hidden to aid in the visual appearance. Files that could take hours to import in the general sketch now take just a few minutes or less! Improvements have been made in the ICD to improve the view creation and update performance especially when dealing with Configurations and External linked files. This will be seen in general views as well as section views. 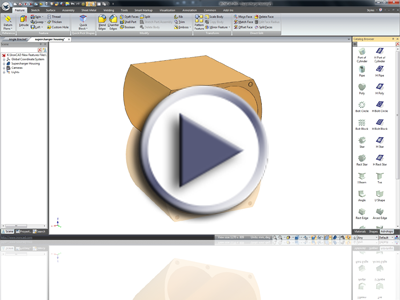 3D Smart Dimensions can now be place on the 2D Shape elements as reference information or to refer the 2D Shape from other objects (3D elements). This is needed when designing and referring to a 2D Shape. 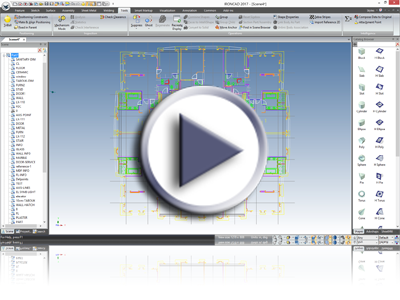 Similar to the 2D Shape support for Smart Dimension, users can add PMI references to the 2D Shapes to callout information for downstream manufacturing (and detail drawings). 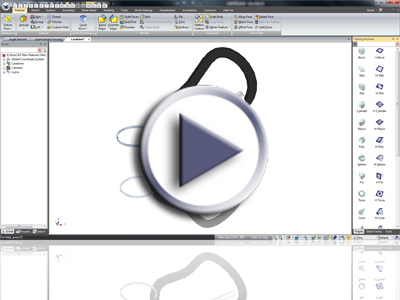 A new 2D Creation tool to create an Arc that is defined by setting tangency to the start and end selections. This tool streamlines the creation of arc between circles for example. 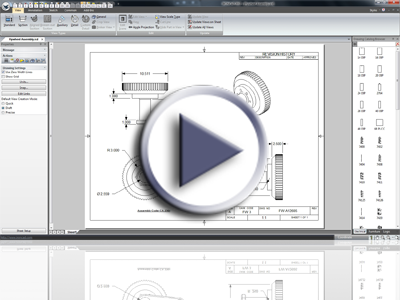 2D Smart Dimensions can now be controlled to display as a Radial dimension or Diameter Dimension. 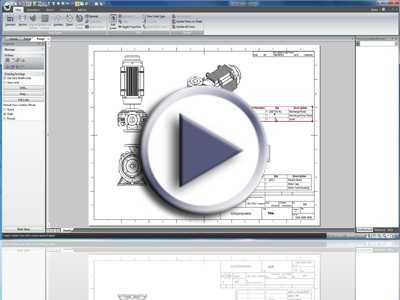 Allowing the ability to define the proper setting for your design needs. Often users want to control the clarity on the sketch with the dimensions. 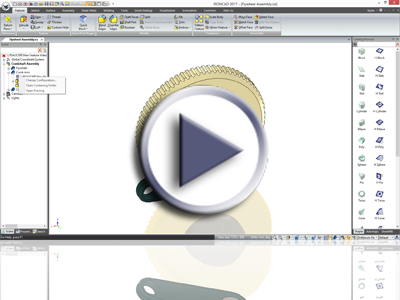 The new setting for the Radial Dimension gives additional control to place and display the dimension. New constraints have been added in the Sketch to apply Horizontal and Vertical constraints on points. This can be applied to curve end points, center points, and point shapes in the 2D sketch. This provides a flexible method to keep objects aligned on the sketch with minimal constraints. New methods have been added to allow users to support design variations with objects that have external links. Using the Associate to Body capability, user can save Design Variations in these states and get updates if the DV is update. 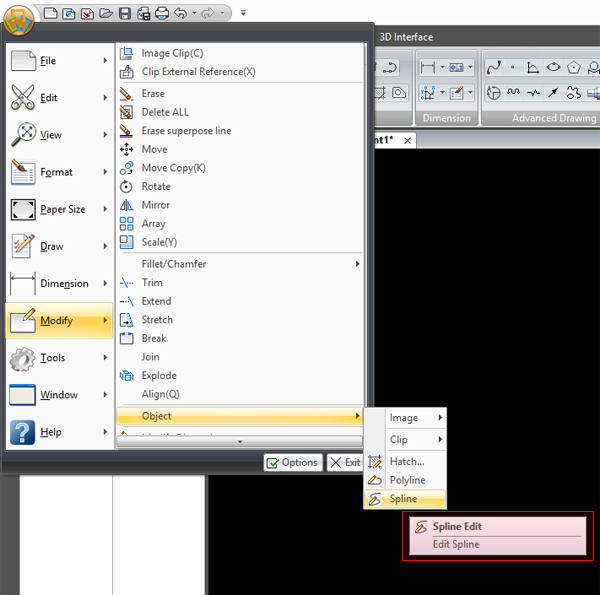 This capability allows multiple DV’s to appear in the same file at different states (supporting External Linked files). New options have been added to the Sweep in the Feature Edit to lock the Profile of a Sweep to the Guide Curve. When the Guide Curve changes location or position, the profile will maintain and follow. 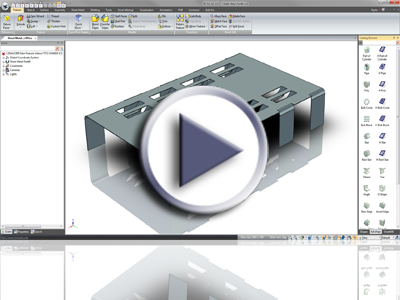 When creating a Loft Sheet Metal, users can now individually set the bend lines for each transition on the Loft instead of just a global setting. This provides more control and flexibility in the creation of the Loft Bends. Accessing the properties on a Sheet Metal part will now automatically take you to the Sheet Metal property page versus the general page. This reduces the number of steps normally taken in this common task. The Mirror Feature command now supports selecting a point on a linear edge as the mirror plane. This is useful when you don’t have a mirror plane object. 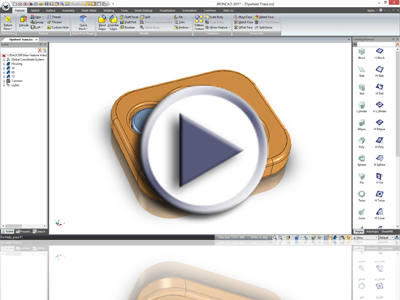 You can now use the Mirror Feature to mirror bends and other objects on Sheet Metal. 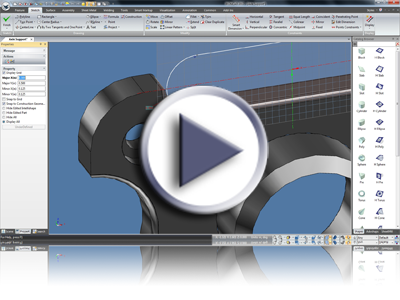 When selecting on a stock edge for the mirror plane, the tool will automatically find the “real length” of the stock to properly mirror (needed since bends with in/out settings will consume the stock). 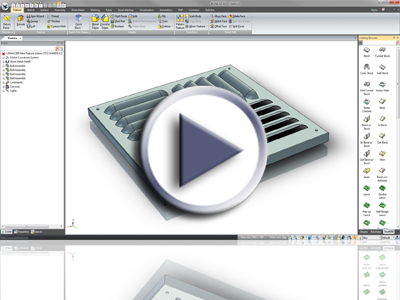 The pattern feature has been improved to support patterns on sheet metal. For example a user may create a small bend segment and pattern it along the length of the stock to create a hinge type bend. 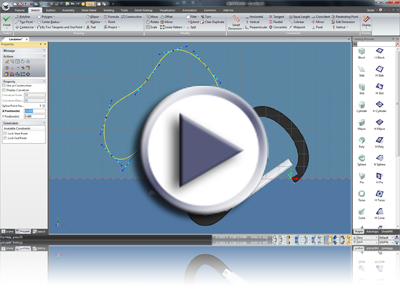 A new 3D Curve command has been added to bridge two disconnected curves. Select the two disconnected curve points and the command will create a connected curve that will allow you to control the tangent values at the connected locations. 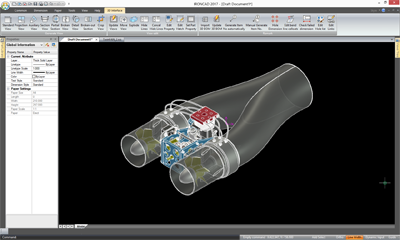 To improve the work flow from 3D to 2D, users now have methods to create a drawing directly from the 3D based on a file or object selected. 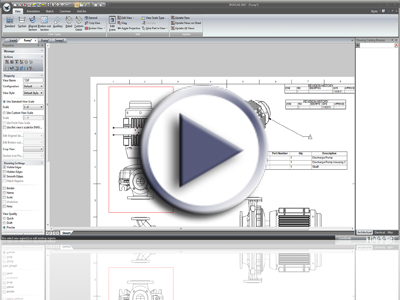 You can also open existing drawings that are associated with the scene or external file directly in the scene. When creating the drawing, it will automatically place you in the view creation mode to speed up the process. Improvements to the Broken View command have been added. 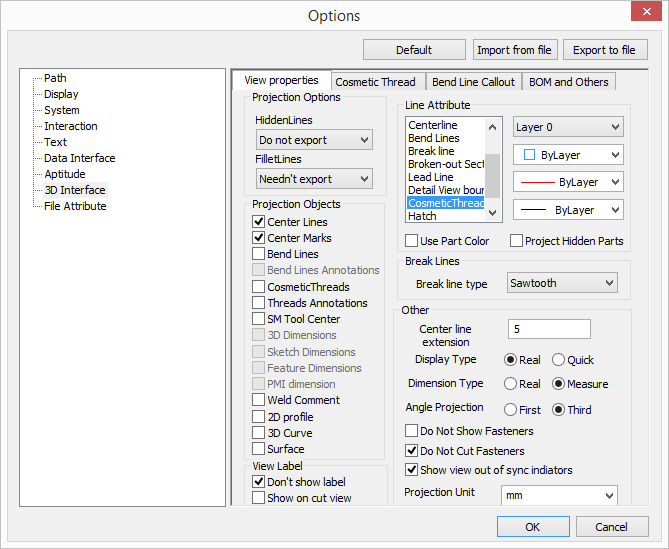 Align Break Line Heights, Edit Break View and other improvements have been added. 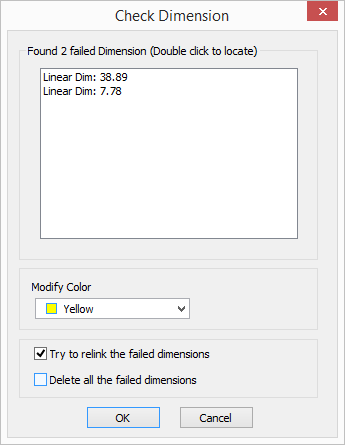 Double-click on a dimension to open the properties page and be redirected to the Text Tab for direct editing of the dimension. New behaviors have been added to allow the placement of the dimension text at the time of creation of a dimension. Prior versions required you to place the dimension then move the text. A new revision table has been added to allow the creation of a revision block and revision tags. Default templates have been updated to use this new capability as well. 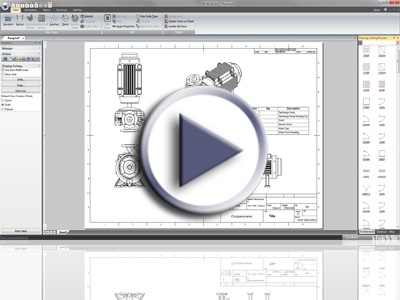 Text can be stored in a catalog and dropped directly into the drawing environment. Holding the Shift-key on drop and dropping onto a view will automatically associate the text to the view. 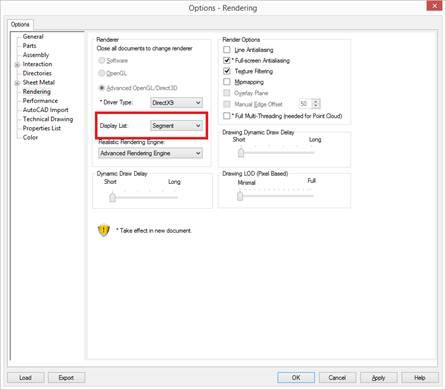 To improve the common process of crop views, when entering the command the rectangle tool will be automatically active by default. Simply draw and select ok to complete. If you use a different tool, it will be recorded and saved in the session to use that tool as the default for the next crop. This reduces the repetitive clicks often used in this command. On commands in the ICD that support a Confirm/Cancel action, users can now right-click and accept/cancel the action. Reducing the need to return to the browser. For example: Activate a section view. Place the section line, right-click accept and place view. Done! Text and Text with Leader annotations can now be copied and pasted at the location of the cursor. You can also access the Paste in Place action on the Edit Menu (or Right-click menu) to retain old behaviors. Users can now add manual rows to the BOM that are retained on Update. Useful when adding information that may not be modeled in the 3D environment. 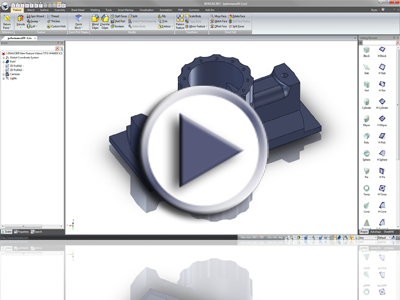 Part/Assembly properties now have the ability to set String properties for the BOM Quantity in addition to the existing Computed and Numeric settings. Users can now sort the BOM based on a selected row. This is useful in cases where set breaks locations based on row numbers are not wanted. 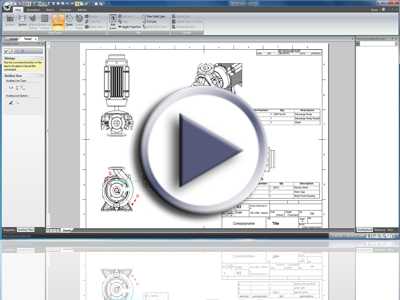 The rotate view command has been improved to allow rotation based on a selected edge and setting it to horizontal or vertical. Users can now add notes to view labels. Inside the View Properties page, you can format and add the desired text to be used. This note will be associated to the view labels position. The section line by 2 pick points has been improved to create the section line based on the pick location (versus the view bounding box). 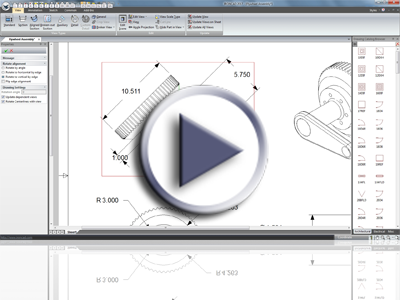 In addition, alignment tools have been added to aid in the creation of the section line. Changes have been made to improve the overall memory usage with images used in the Draft environment. In addition, image optimization has been updated to handle scaling of images. Draft documents can be exported to the .WMF vector file format to be shared with other applications. When cropping an image, you can now draw the cropping boundary as a polygon for additional control in the shape. You can now edit the section label after it has been created. 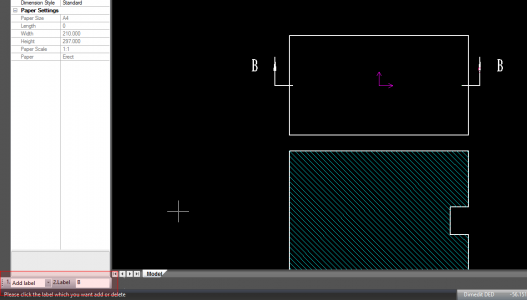 Double-click on a section line and you will have options to Add/Remove/Modify the labels. When modifying, type the desired value and pick on the label to adjust it to the new value. The table text can be edited and the orientation can now be vertical or horizontal. In the Tools/Options, you can now set attribute setting for cosmetic threads. Basically users would like to setup common standards for the cosmetic thread callouts. The current datum line is a set length. This can overlap other dimension. New capability has been added to drag the datum length to a new location by adding a handles. For the through hole of C’B and C’S, usually the text “Thru” is displayed instead of its depth. New options have been added to allow the ability to change a callout from a “Thru” hole to a “Depth” Hole (symbol and depth). 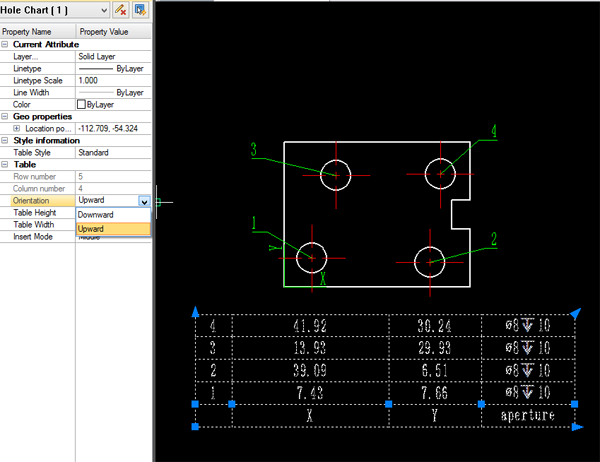 You can now edit the section view direction after the section line has been created. It is common to have different setting for part projections and assembly projections. You can now create settings and save them out for use later. Using this approach, you can load the desired setting based on the type of projections you are using saving you countless time making different setting selections. The shaded views have been improved to match the ICD and have added controls for the z-buffering to handle the bleed through issues. New options have been added to define the default BOM Merge settings. 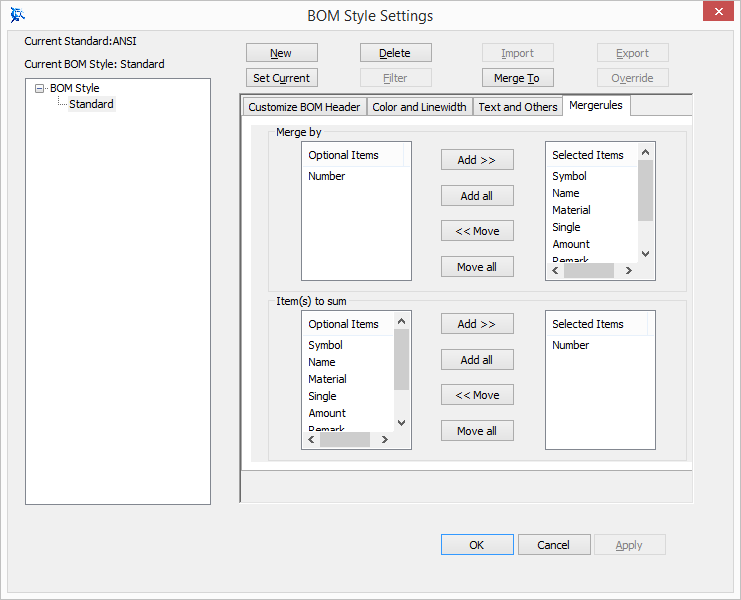 The BOM dialog has been updated to be consistent when using create (import) and update. When dimensions become disconnected, you will now have a dialog to allow reconnection of dimensions similar to the ICD. The hole table has been updated to allow snap settings and orientation (top down, bottom up). The hole table has been updated to allow users the ability to pull handles to adjust spacing in the table dynamically. 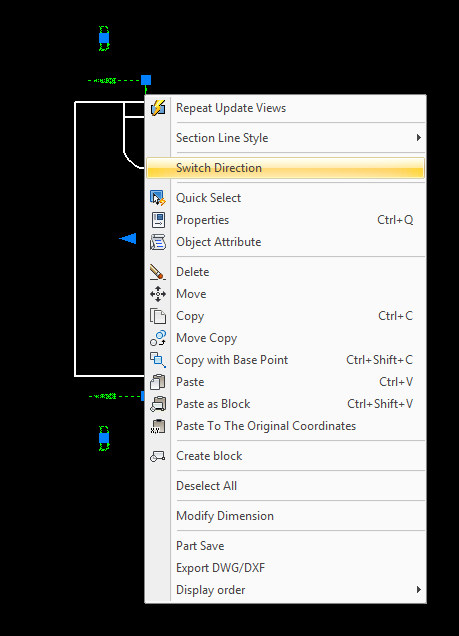 A new modify Spline command has been added in the menu to allow modifications such as add/remove/move control points (i.e. fitting data). 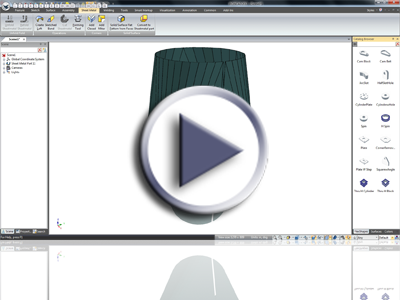 This enables additional control on defining splines. 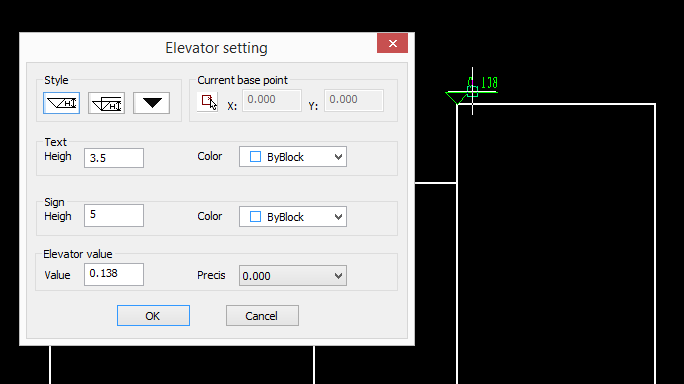 The elevation tool has been enhanced to allow modification and selection of different setting. 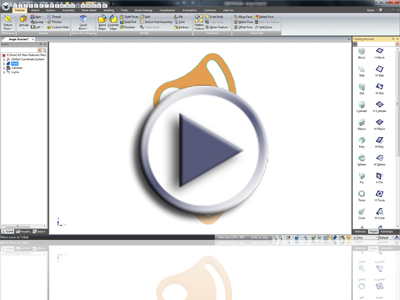 Create an elevation tag and double-click to edit. In addition, you can use the S and Spacebar to define settings and orientation during creation. 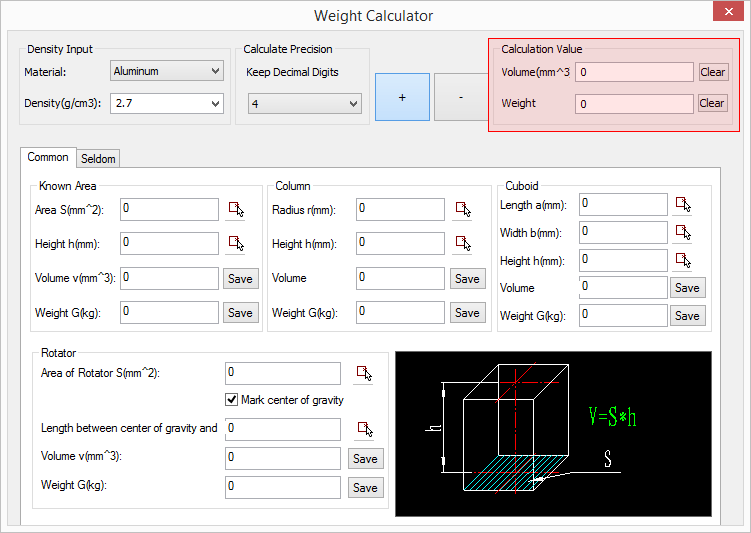 The weight tool has been enhanced to support volume calculations. When defining the datum location on a Frame, the BOM will now connect to this location versus connecting to the Title Block on insert of the BOM. 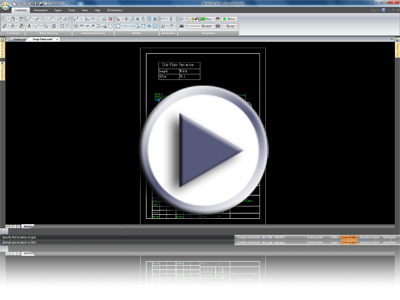 This allows users the ability to place a Title Block on a template is a desired location and have the BOM insert to a desired location. The print/plot command now has an option to print a watermark for additional security on prints. Switch versions from 2016 to 2017 will allow the migration of user defined shortcuts. The icons have been updated to identify internal and external links separately. This allows you to easily identify internal link objects and externally linked files. Save as Copy has been added in the 3D to save an identical copy without issues with external links. Saving files will now default to the working folder versus the last used folder. 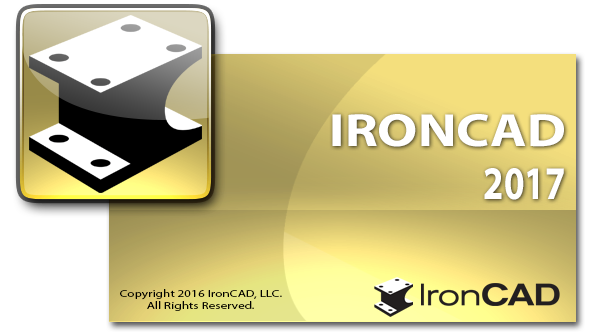 With the latest release of the IronCAD DCS, you will have access to the following versions of CAD file formats using our Native Translator.